Xiang joined Auerbach Pollock Friedlander’s San Francisco office in 2016 bringing architectural studio experience gained through internships with firms in Beijing and on the East Coast. In his role as technical designer with the firm, he supports the theatre consulting team on the design of concept space adjacency and building massing plans, space programming, as well as theatrical systems design and documentation including seating and room configuration. He is proficient in Rhino, BIM software, and AutoCAD. While completing his Masters of Architecture at the University of Massachusetts Amherst, Xiang developed an interest in theatre design. He worked in the University’s Theatre Department as a scene shop teaching assistant. His thesis, “The Spatiality in Storytelling” focused on theatre architecture and explores how the architectural space contributes to the theatre experience. 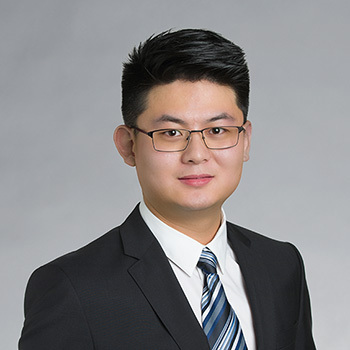 Xiang has a Bachelor of Construction Management from Chongqing University. He is fluent in Chinese and English. This image is copyrighted and cannot be saved. ©2019 Auerbach Pollock Friedlander - Auerbach Glasow. All rights reserved.